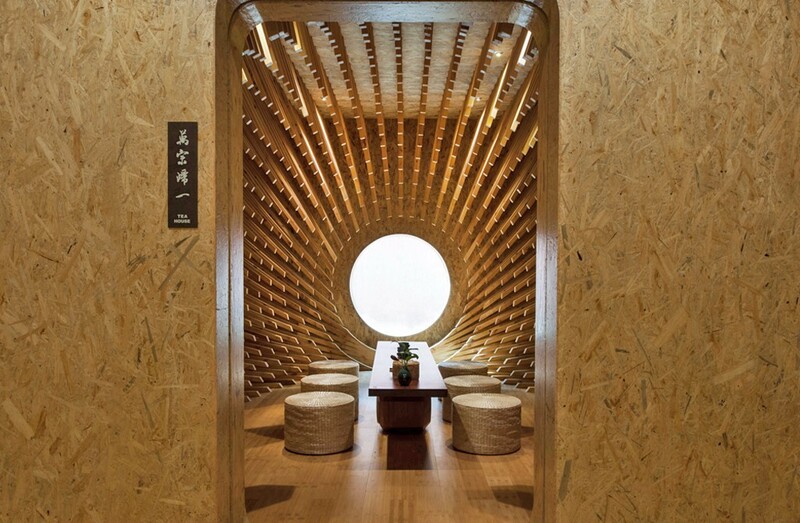 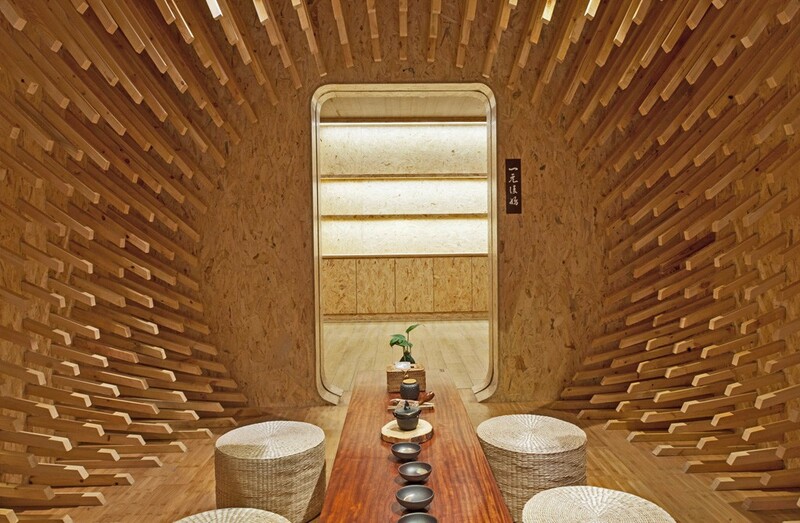 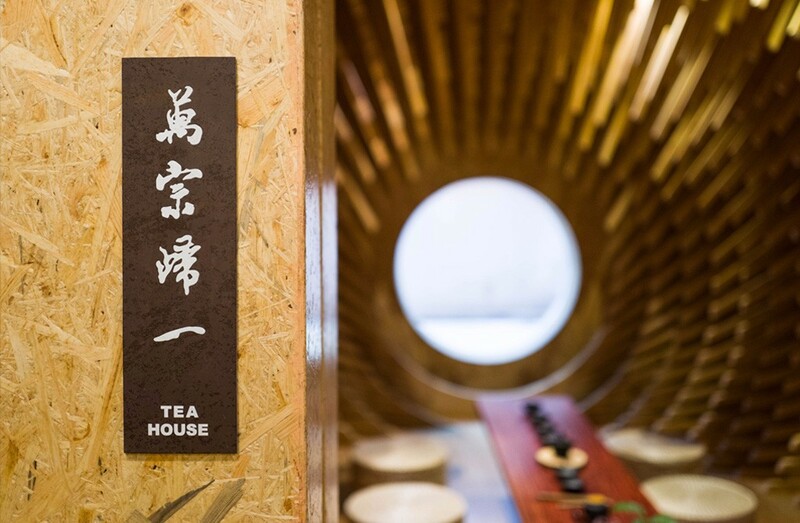 “Tea is a symbol of Chinese Zen life, so a teahouse is not just a place where people can have tea, but it also has a deep meaning,” says the creative studio, Minax Architects. 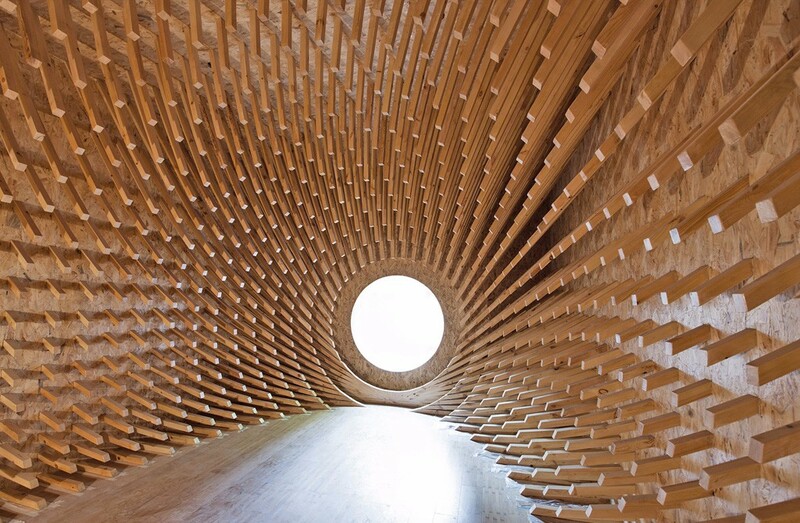 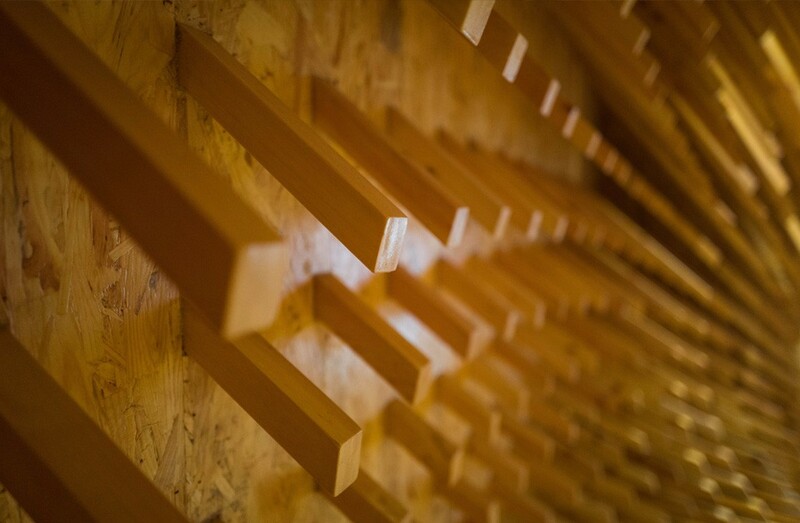 Built into the wall of the room and oriented towards the center, the sticks create an egg-shaped space in a rectangular room. 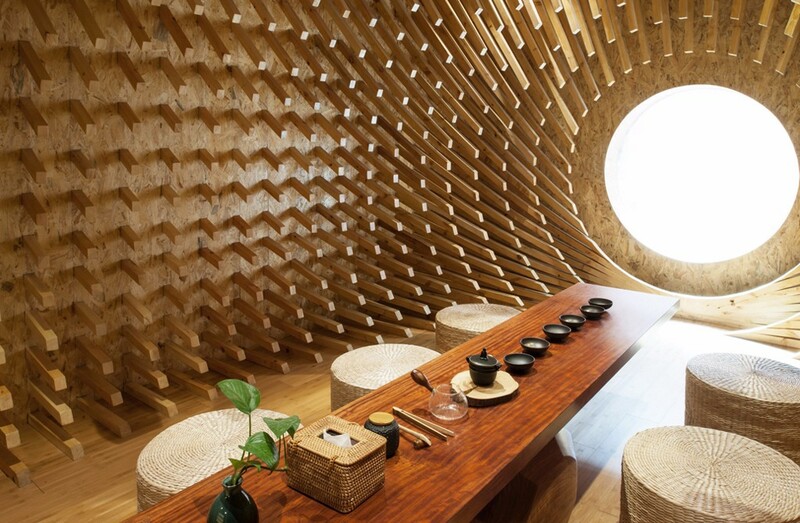 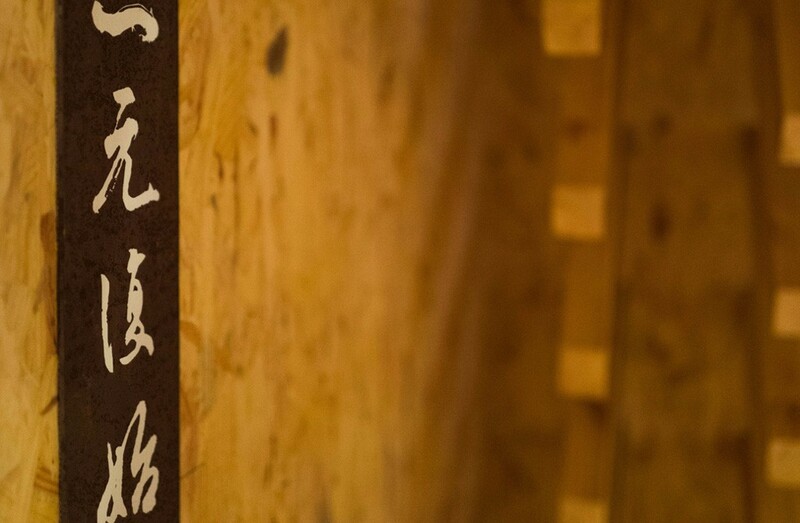 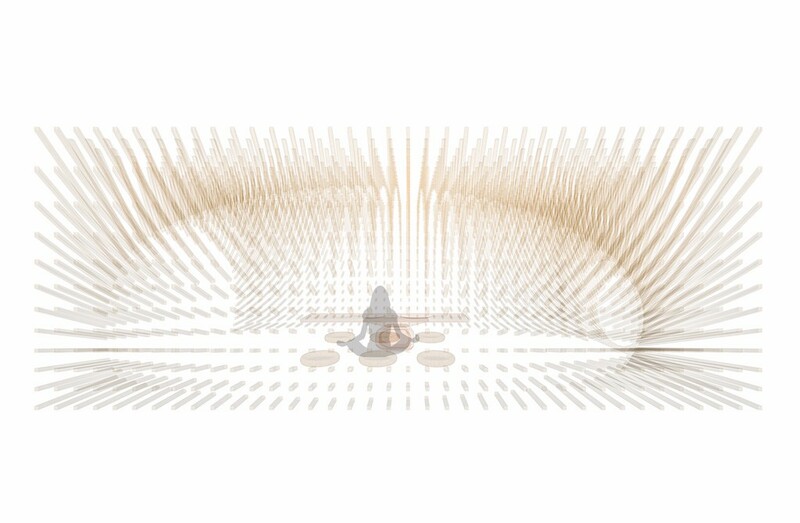 The purpose of this project is to help visitors spiritually reborn through the ritual of the Chinese tea.